A gift basket for a young lady, not indifferent for you, will support her during an illness. 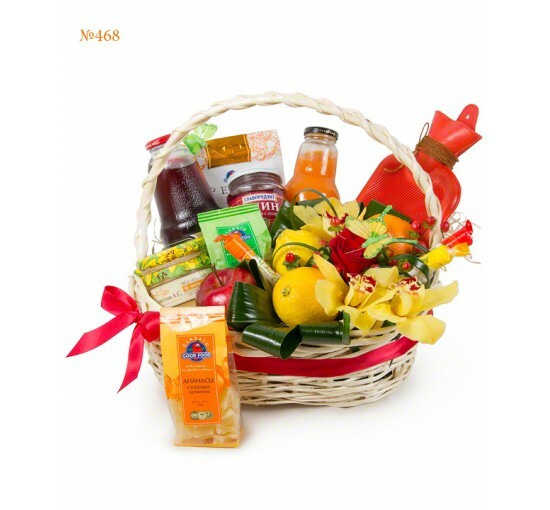 The set contains all the necessary to invigorate and replenish with vitamins a weakened body. A grateful smile will be evoked by a hot-water bag, which will warm the sick lady both literally and figuratevely. The composition is supplemented with orchids and a big red rose, which are recognized queens of the flower world.